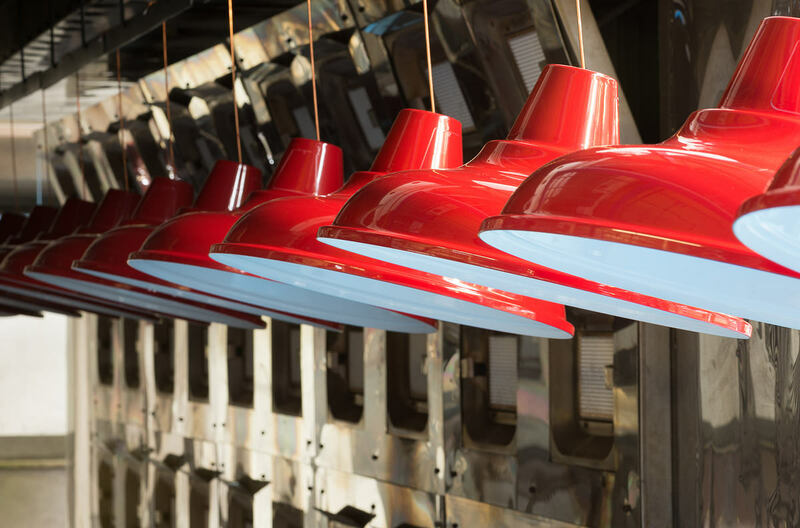 Artifact Lighting started life working solely in the art of vintage industrial lighting, taking apart and redesigning hundreds of original twentieth century factory lights. Using this experience, we now offer our own range of industrial inspired lighting. Artifact Lighting has supported a variety of domestic and commercial interiors projects since we were established in 2010. Our high quality pendants and wall lights are featured in various restaurants, bars, offices and homes across the UK and Europe as they suit any kind of environment. We are proud to say that all of products are designed exclusively by Artifact Lighting in the UK. 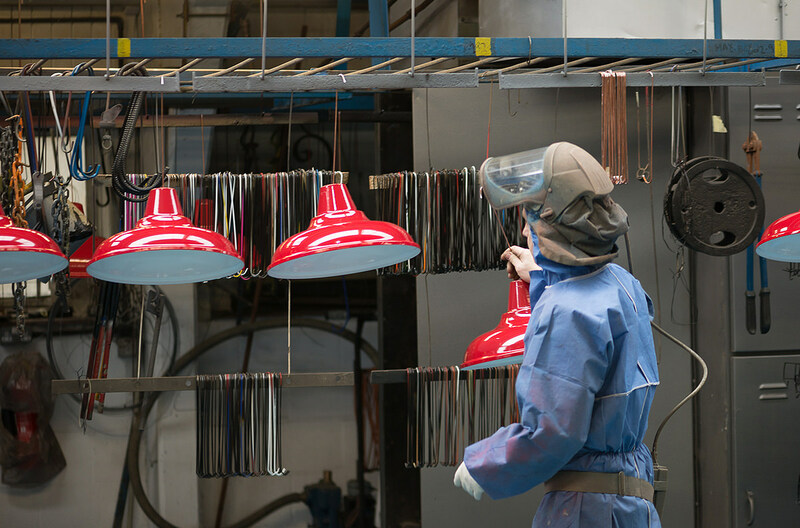 100% of our factory lighting is designed and manufactured in England,before being hand finished and quality checked in our Southampton based studio. This hands-on approach to manufacturing through our UK production lines allows us to keep a close eye on the standards of our products, ensuring that they meet the high expectations of our valued customers. Our local manufacturing also allows us to produce bespoke products with short lead times. Our custom coloured shades can be easily produced within 2 weeks while bespoke products have a much quicker turnaround and are finished to a higher quality than those made overseas. Find out more here. Artifact Lighting is an environmentally-conscious company that aims to reduce waste. Our UK based manufacturing allows us to produce quality goods while reducing our carbon footprint as there is no transcontinental shipping involved. We also pack all of your orders in recyclable packaging wherever possible and encourage our customers to recycle all materials. Our goal is to minimise the amount of packing material we use while ensuring that your items are still wrapped securely to prevent damage. Find out more about how Artifact Lighting is working to reduce our impact on the planet here.